Art prints, on the other hand, just make art so much more accessible for regular people like me, minus the threat of impending divorce. The down side is, I tend to collect too much, and then I’m faced with the expense of framing it all, and finding space on my walls to hang an ever-expanding collection. The solution? Well I thought I’d let Pinterest answer that, so following are a few of my favourite creative ways to diy framing and gallery displays. 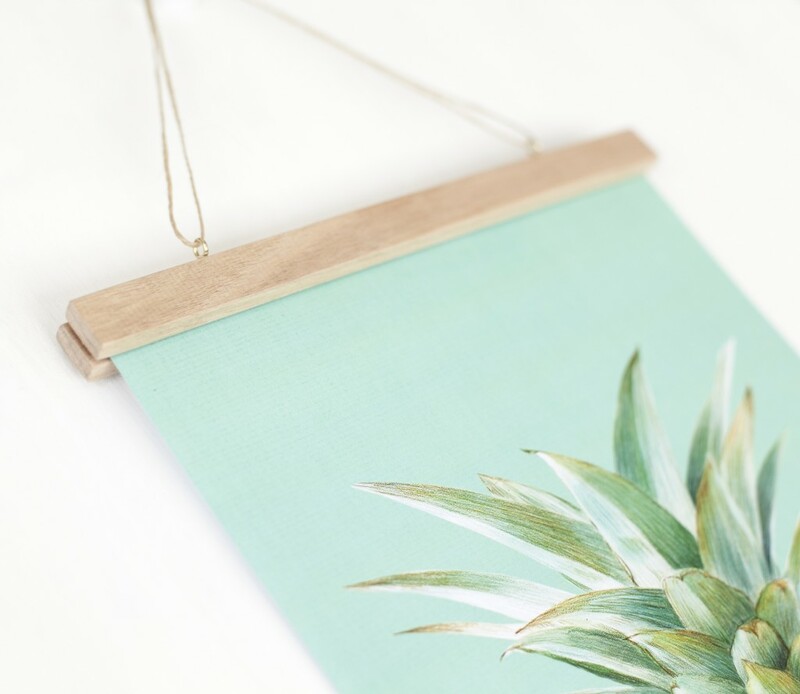 Make an evergreen gallery wall using simple pants hangers. You can pick up a 3pack from Howards Storage World for under $10. 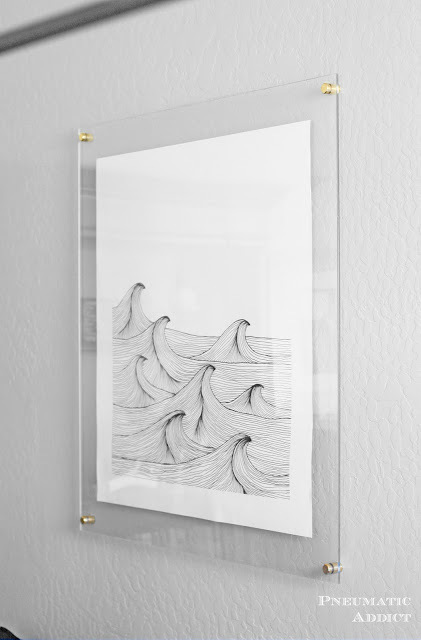 Turn your home into an art gallery with this DIY acrylic framing tutorial from Pneumaticaddict. You can save yourself some labour by ordering acrylic sheets cut to size for about $55 for two A3 sheets and you can pick up stand-off bolts from $13.20 for a pack of 4. This is obviously starting to get a bit more costly, but the results are pretty professional. 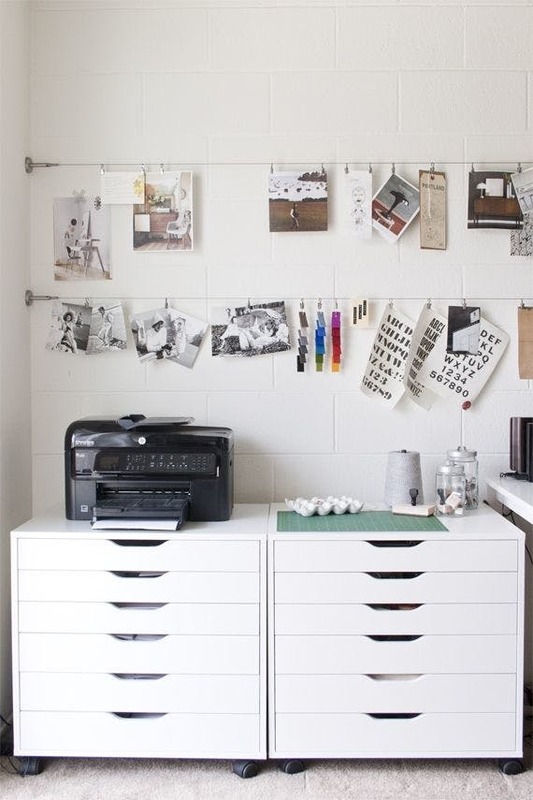 We just love this idea of using inexpensive Ikea curtain wires and clips to create a gallery wall that will grow with your art collection. This will set you back about $15 for a wire set and $3 for a pack of clips. If you wanted to save even more, you could use wooden clothes pegs rather than curtain clips. 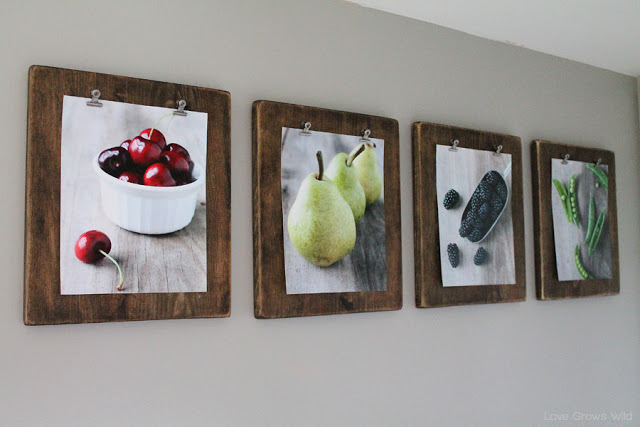 For a rustic take on clipboard displays, this tutorial from Love Grows Wild shows you how to make your own rustic clipboards with some timber, some wood stain, and a pack of bulldog clips. The cost of this one will vary depending on how you source your timber… even some old wooden chopping boards would do the trick. 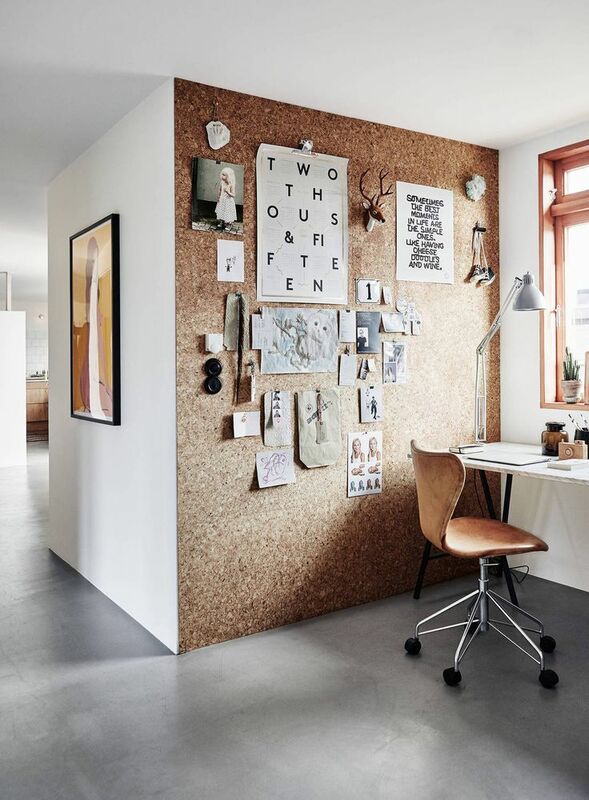 Cork is predicted to be a décor trend for 2017 so why not turn an entire wall into a giant pin-board for all your art, photos and other inspiration? 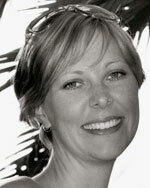 You can source cork tiles from Bunnings for $13.50 for a pack of 6 305mm square cork tiles. 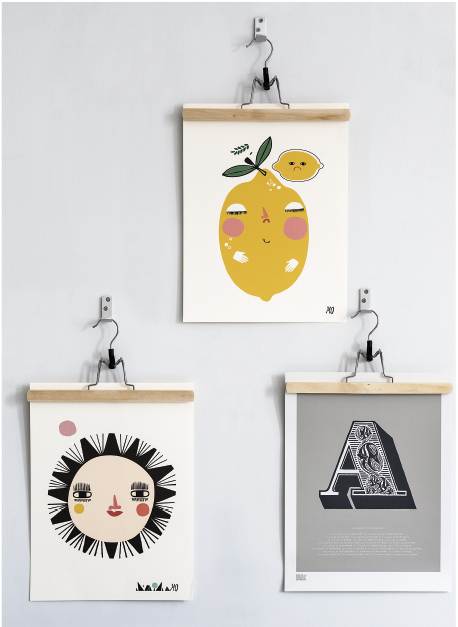 Make your own poster hangers with this simple and inexpensive DIY from The Crafted. Once again, the cost of this project will vary depending on how you source your timber, but even stained paint stirrers would suffice for smaller posters. So now you’ve no excuse not to get all those favourite prints and photos up on your walls for all to see! 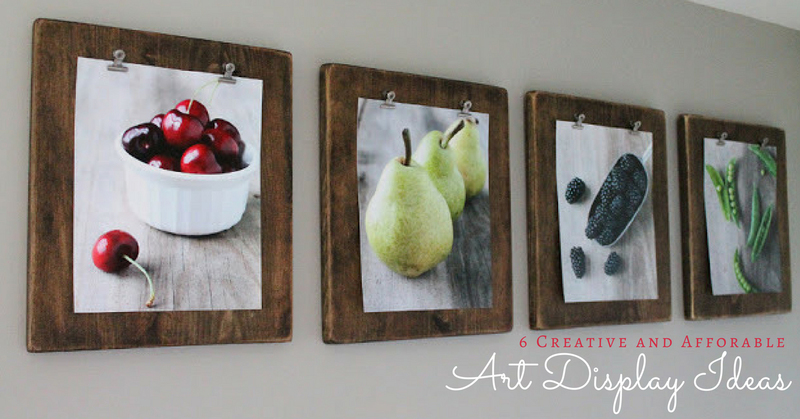 Have you found a great way to display art work? We’d love to know about it – let us know in the comments. If you give one of these projects a try (or any other creative project), drop us an email with some images of your project at advertise@madeit.com.au if you’d like to be featured in future blog posts. Great ideas!! But how to choose#!